BonChon has been the top of mind brand when it comes to Korean fried chicken here in Manila. It came to our shores back in 2010 and it has continued to delight our taste buds with its perfectly fried chicken since then. And after the success of its favorite K-Style Chicken and Bibimbowl, BonChon expanded its menu that will make you come back for more. I usually drop by this popular Korean food chain whenever I crave for some Soy Garlic Chicken. Since I always have an order in mind, I never bothered to look at the menu. But I felt like trying something different last week and finally took time to look at its lighted menu. And that’s when I saw K-Fries (PHP37 | PHP59). 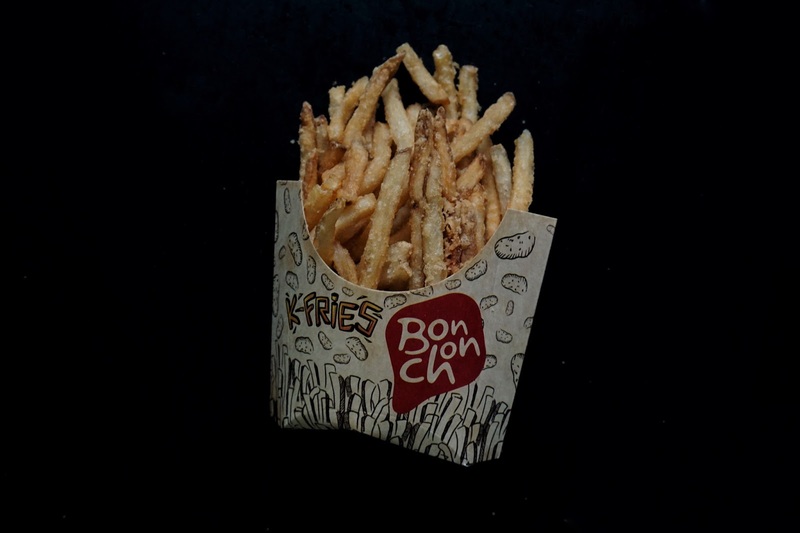 Who would have thought that BonChon offers fries? 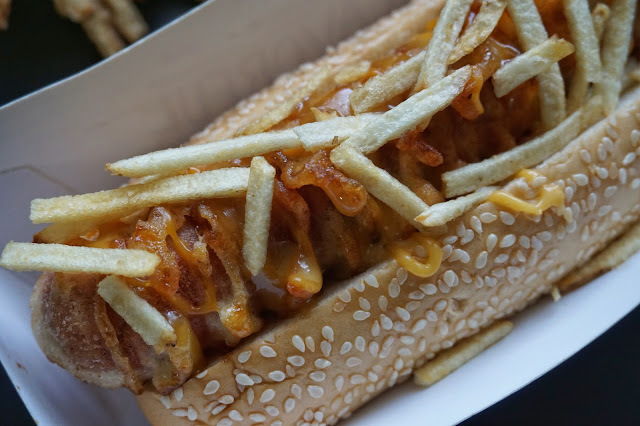 I decided to try it out and pair it with its Krazy Ko-Dog (PHP89, ala carte | PHP165, with fries and soda). I found myself heading back home carrying three large fries and a hefty hotdog. The first thing I noticed when I got my order was that it doesn’t look like your usual fries. 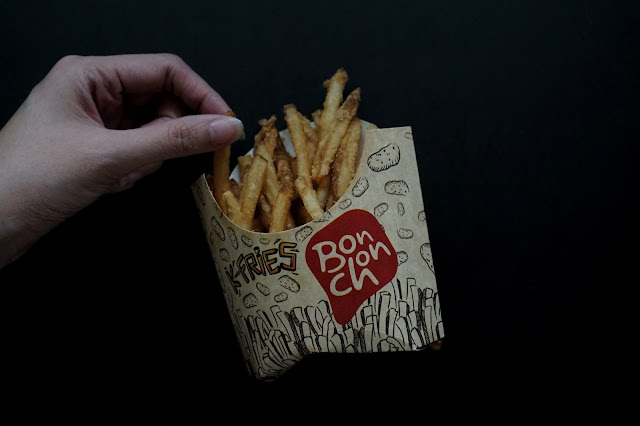 It has this coating that gives each fry a delectable crunchy texture that will make you finish an order in less than 5 minutes! It is already flavorful as is but you can also dip it in ketchup for extra or contrasting flavor. 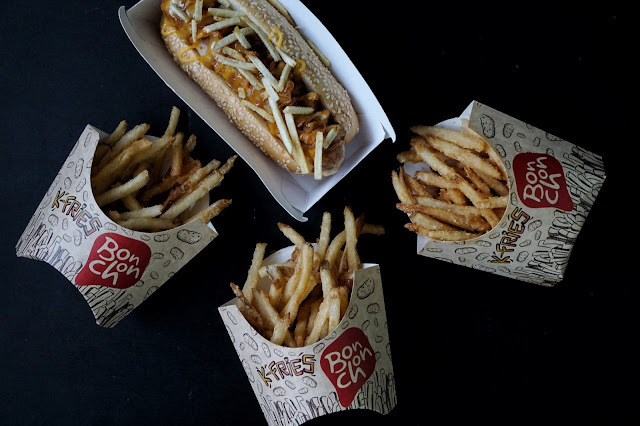 Krazy Ko-Dog was bang for the buck too as an ala carte order will surely make you full with its huge serving size. I got Cheesy Potato which is basically sausage topped with melted cheese and potato strips. Just like K-Fries, each bite is packed with crunch! I loved this flavor and it’s something cheese lovers would like. I’m glad to have discovered K-Fries. It stays true to what BonChon is known for—crunch—and it is something I look for when getting one. I’ll definitely get more of this as I continue to try all the other dishes of BonChon.